This entry was posted in Witches and tagged Death, Dogs, Goddess, Hecate, Hekate, Hekate's NIght, mythology, Pagan, Underworld, witch, Witches. I enjoyed this tale. Myth and story. My favorite. I need a Goddess. I will research her. Thank you Christine for sharing the knowledge. One of my favourite Goddesses! I love that she is associated with dogs, just like Hades. Macedonians believe that dogs can see the dead. Dogs that have those dot markings just above their eyes are supposed to be particularly sensitive as the dots are thought to represent spiritual eyes. She is certainly a powerful goddess! I love learning more about her. I personally believe that dogs and cats can see spirits. Dogs also predict deaths with howling. 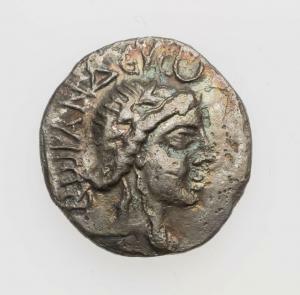 I love that Hekate’s image was used for coins, it proves how important she must have been! Yes, they would be perfect for Charon! I’ve heard dogs can predict death. Have you heard of Oscar the therapy cat who can predict deaths? He’s pretty famous. My dog does this too! I think she is talking to her pack mates who have passed on. Yes — it is very possible. There are so many things animals do! We had dogs jump up on the bed and howl right before someone died. Or start barking and acting weird right after someone died (even many miles away.) 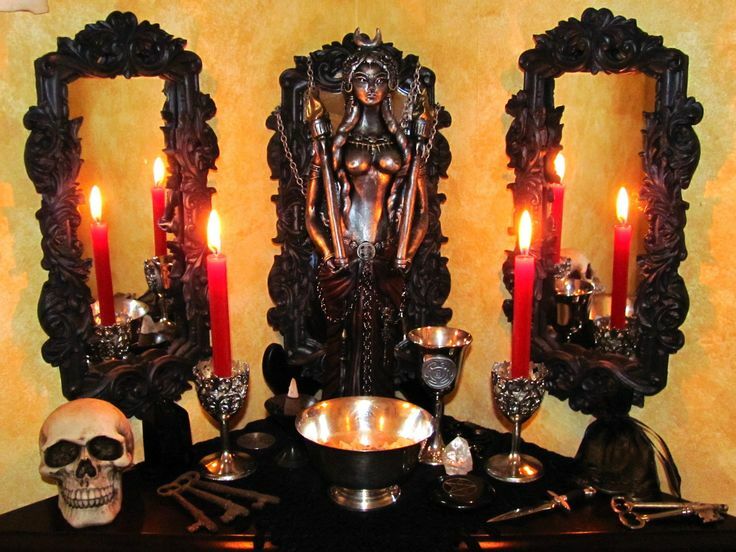 When I first started researching Hekate, I actually did have two black dogs cross my path, a thing that has never happened before. It is all so cool! I love the sound of your dogs! They must have really been in tune with the other realms. How wonderful that two black dogs crossed your path. I bet they were letting you know Hekate was pleased you were researching her! I just read that at Zoroastrian funerals it is traditional for a dog to lead the funeral procession to the cemetery. Now I’m wondering if I can have my coffin delivered to my grave on a sled drawn by huskies! Ah, there is a cool idea, huskies pulling your coffin! I did not know about the Zoroastrian custom, but it makes sense.